• خبير أعمال إماراتي متخصص بتنفيذ المشاريع الوطنية . • خبير ومستـشـار خدمة الـعـمـلاء والـمـبـيـعــات والتسويق. • يمتلك خبرة قوامها أكثر من 21 عاما في مجال الاستشارات والتدريب والإدارة الإستراتيجية و إدارة علاقات العملاء ، و مجالاتالقيادة وإدارة وتأسيس مراكز الاتصال ، والتخطيط الإستراتيجي ، وبرامج التطوير . • محاضر بارز في المؤتمرات المحلية والإقليمية والعالمية المتخصصة في عالم الأعمال. • يحظى بخبرات مهنية متميزة ، مع كبريات الشركاتالمتخصصة . • رائد إدخال مفهوم مراكز الاتصال وتنفيذ مركزعملياتها في طيران الإمارات 1994م . • تميز كمدير تنفيذي لمؤسسة الإمارات للتسويقوالترويج - إحدى الشركات التابعة لمجموعة بريد الإمارات القابضة – و ساهم فيحصولها على جائزة دبي للجودة ( التميز في قطاع الخدمات ) 2009 م . • ساهم وبمساعدة فريق العمل في مجموعة ( (LEVENBERT في تطور المجموعة بإبداع وتميز ، خاصة بعدما تسنى للمجموعة تنفيذالمشروع التطويري التدريبي الأكبر على مستوى المنطقة من خلال تنمية وتطوير أكثر من7500 موظف على مختلف المستويات في أكبر شركة اتصالات في المنطقة ، من خلال تطويرثقافة التمحور حول العميل في إدارات خدمة العملاء عبر مراكز الاتصال والمبيعات ومكاتبالخدمة. • شخصية قيادية تتمتع بخبرات عالمية أهلته لحصد الجوائز المحلية والإقليمية و العالمية . • حصل على جائزة مدير مركز الاتصال العالمي 2001 مو2002 م من منظمة ( ICCM ) في الولايات المتحدة الأمريكية، والتي تعد أكبر منظمات مراكز الاتصال في العالم . With a combined professional experiencespanning over 21 years Ahmad Tahlak has established himself distinctively as aleading strategist and expert in the Service Industry. Ahmad Tahlak has pioneered Emirates AirlinesCall Center, a full-fledged operational call center almost 15 years ago whenthe local market was still unaware of the vast impact and efficiency thecontact center would generate. As a result of a brainchild that was broughtinto purpose and function, by establishing a world-class call center andcomprehensive CRM system his ambition, effort and management has won him CallCenter Manager of the Year award for two consecutive years in 2001 & 2002from ICCM in Chicago. One with a strong vision and commitment toexcellence, he has founded The TeleServices Company in 2000 a specializedorganization focused on BPO, Contact Center Solutions and Consultancy whichcaters to a wide array of industries and organization. A recipient of the Entrepreneurof the Year, Best Consulting and Service Company awards in 2004, recognized andpresented by His Highness Sheikh Mohammed Bin Rashid Al Maktoum, Prime Ministerof UAE and Ruler of Dubai. Ahmad Tahlak has been synonymous to the success inthe call center and customer service industry. In 2005, he accepted the position in EmiratesMarketing and Promotions, a subsidiary of Emirates Post Group as the ChiefExecutive Officer. EMP's core business was to provide integrated, turnkeysolutions to direct marketing, Call Center & Customer Service outsourcing,and Promotions. It was also during his tenure that EMP unveiled range of innovative, 3D productsand Post Card promotions in the GCC, turning the agencyinto a profit center. At the helm of hisleadership, EMP garnered several recognitions set by the local andinternational groups including the Dubai Quality Award in 2008. With unrivaled passion for change, uniqueunderstanding of the global market Ahmad Tahlak brought his superior,result-oriented Consulting experience, Contact Center expertise, CRM Intelligence,Strategy Formulation & Implementation concentration and ventured into co-founding LEVENBERTConsulting, a turnkey and implementations solutions provider, offering a wealthof ground-breaking strategies and excellence through sustainable change to awide array of industries serving the private and public sector. LEVENBERT isheadquartered in the UAE and operates across GCC. Recognized by industry leaders and peers bothin the local and international market, Ahmad Tahlak is privileged to share hisextensive knowledge, expertise, cutting-edge solutions that drives optimalorganizational growth and success. صحيفة نيويورك تايمز افردت مقالا عن البرنامج . & Legal Consultants”, which based at the DIFC in Dubai, UAE. He has over 24 years’ experience working in several law enforcement and judicialgovernmentalinstitutionsanddepartmentsinthe Government of Dubai. His profile of work experience include; Dubai Police, Executive Office of HH Shaikh Mohammed Bin Rashid Al Maktoum, the Crown Prince of Dubai at the time, the Ruler Court of Dubai, and the Dubai Courts. His legal and litigation experience is expansive covering international law, commercial law, civil law, and breach of contracts. Dr. Ahmad is a former member of many strategic governmental bodies and committees in Dubai and UAE. He has sat as a member of the Executive Council of Dubai for 8 years. He also served at the Judicial Council of Dubai, the Federal Judicial Council, and the Dubai Judicial Institution’s Council. His leadership skills and capabilities were recognized by the Dubai Government Excellence Program, and he was awarded in 2001 as the Best Employee in the Management Sector in Dubai Government. University in Dubai, and Al Shabab Club of Dubai. Dubai Police Academy , Dubai , UAE , LLB , 1991 . The Nottingham University ,N o t t i n g h a m ,U K , LLM, 1 9 9 5 . Dr. Ahmad is the Senior Partner in the firm and is based in the DIFC office in Dubai, UAE. He specializes in litigation, especially civil, commercial and real estate and has almost 24 years of experience in the government sector. Dr. Ahmad joined BSA as Senior Partner with a focus on developing the firm’s practice areas and its presence in the local, national, and regional markets. Federal level. His term at this post witnessed major shift toward the intensive use of automation and information technology in courtsoperations,aswellas introducing manynew organizationalandjudicial initiativesatDubaiCourts. The creation oftheSpecialistCourts(TheCommercial,Labor, Criminal, Civil, Real Estate, and The Family Court) at the First Instant Court and the establishment of the Mediation Center are only short listed of those significant initiatives. In 2005, Dr. Ahmad moved away from the Dubai Police and served at the Executive office of HH Shaikh Mohammad Bin Rashid Al Maktoum, the Crown Prince of Dubai at the time, then at the same year he was appointed as the Deputy Director General of the Ruler Court of the Dubai Government. At this post he engaged in all administrative and protocol affairs of the Ruler Court in Dubai. At this post, Dr. Ahmad was serving at the Dubai Police Head Quarter and was responsible of a variety of administrative and financial operations which by its nature influence the dynamic and the efficiency of the entire operations of the Dubai Police. international law and as first assistant of the Dean of the Academy. For four academic years Dr. Ahmad engaged in teaching(PrinciplesofPublicInternationalLawCourse& International Organizations Course) and managing academic programs at the Academy, including the bachelor and the master courses in law and police sciences. Dr. Seppe Verheyen is a Research Fellow at the Emirates Diplomatic Academy where he examines diplomatic best practices and training to develop the skills and competencies required for the new generation of diplomats. Previously, Dr. Verheyen worked at American University in the Emirates as Director of the Master of Arts in Diplomacy and Director of the International Office. In his dual role, Dr. Verheyen imparted the theoretical and practical knowledge to Emirati students to enhance their diplomatic skills. He also played an active role in setting up international and local partnerships to increase the university’s profile. Before starting his Ph.D. at Trinity College in Dublin, Dr. Verheyen worked at the Ministry of Foreign Affairs and the Belgian Permanent Representation to the EU as an advisor. He was involved in drafting EU foreign policies and represented Belgium on the EU forum. Dr. Seppe has consulted political parties in Belgium and Ireland on policies and is a frequent speaker at conferences covering topics in Policy, Diplomacy, Smart Cities and Leadership. Leadership has been much of the professional focus of Michael J. Tolan during his 25 year career in establishing over 20 enterprises. 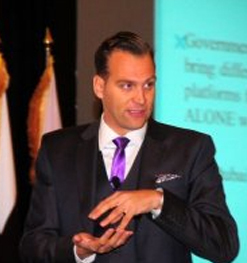 Michael Tolan led his own team of over 700 staff in 8 countries as CEO for 15 years. After divesting his holdings, he turned his attention to the Leadership Gap within the L&D space. His is an author and columnist on Leadership topics within the GCC and founded the YEP, Young Entrepreneurs Program for teens in the UAE, A CSR program that enables companies and institutions to brand and support the business and leadership skills in this program. Mr Tolan is the Executive Director of the World Class Institute for Innovation and Leadership at Sebchem Consultancy House, and has created several leadership development programs to enable organizations positively embrace the importance of leadership ethics and alignment. He is the Co-Founder of GetAwesomeRewards.com, a global employee benefits travel scheme for leaders to support and engage their team members with amazing and awesome rewards for companies around the world. Founder and Managing Director,ICON Investment Consultants. 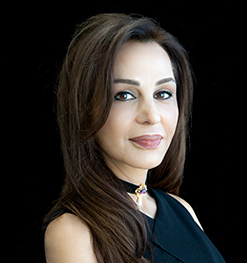 Salma Sakhnini graduated with an MBA from Yale University and a BA from the American University of Beirut (AUB) and holds the Master Franchise for 360 Solutions - the leading training company globally- for the GCC region, and is a Certified Executive Coach from the International Coach Federation (ICF) and Center for Executive Coaching. Salma founded and manages her own group of companies that include an industrial manufacturing business, a consulting practice, and training and coaching firm. She previously held a number of senior leadership positions including, working as Vice President with Citibank and as Chief Operating Officer with Rasmala Investments. She is renowned for being "The Strategist for Success". Salma has advised, coached, and mentored seasoned leaders in Strategy, Success and Business Growth. She helps her clients transform their businesses and lives, and turn their potential into prosperity. Having transformed the performance in businesses she led, Salma became an expert in business transformation and success. Salma’s passion for making a difference in people’s lives has led her since the age of seventeen to always play an active role in the community through working on issues closest to her heart, education, empowerment, women, and youth. In striving to heighten awareness and make an impact, she works closely with different constituents of the community on issues of development while actively working with and coaching reform and strategy teams. She is a strong believer in nurturing the partnership between the community and the private and public sectors and in the role business must play in giving back to the community. She has also lectured at the American University of Dubai and held executive workshops on many topics. She is a mentor and a model of success and continues to be an active speaker at various regional and international conferences. Jassim started his career as an economic analyst for Citigroup in Dubai, UAE, where he worked with the Assistant Chief Economist of Citigroup Middle East. Later he was appointed as a partner in the private equity fund for the MENA region as a fund manager by Islamic Development Bank and Gulf Finance House to manage USD 50.0 Million Technology Venture capital fund. Jassim also worked for Dubai Islamic Bank’s initiative “Tamweel” as head of Corporate Strategies and Planning during which he played a key role in development and execution of the strategic plan to gear the company from inception to growth from 2005 to 2007. 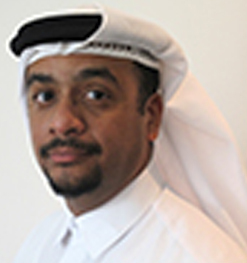 Jassim worked as principle consultant and advisor at AT Kearney where he focused to revive the performance gear to growth for various government entities, investment banks and financial sector during the Financial Crisis period of 2008/09. During his tenure at AT Kearney, he was appointed as a strategy and performance advisor to the Office of the Prime Minister of the UAE where he contributed to development of federal government strategies, economic policies and planning. 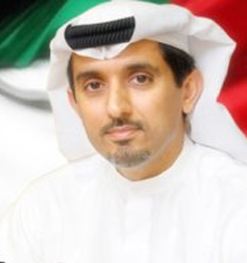 Later he was appointed as an economic strategy and policy advisor in 2010 at the Executive Council, Government of Dubai. Jassim has a B.Sc degree in Economics from Virginia Commonwealth University, Richmond, Virginia, U.S. and Masters in Strategic Management from University of Liverpool, UK. Dr Barry J Cummings, the Founder and Managing Partner of Action in Business International (ABI), has been working with current and future business leaders on issues of Leadership & Teamwork, Strategy, Competence, Performance Management, and Professional Development for over three decades and in 17 countries worldwide, including living full time in the UAE for the last 20 years. Dr Barry, a former electronics engineer, first came to the region over 30 years ago, and he has international clients at the ‘Chief Officer’ (“C-suite”) level and downwards in the Banking, FMCG, Oil, Government, Military, Energy, and Technology sectors. Dr Barry resigned as head of a thriving business organisation with almost 900 employees in 1996 in order to focus on his passion for developing people to be the best that they could become. Dr Barry was a Fellow of his professional Engineering Institute. He is a Fellow of the Chartered Institute of Personnel and Development, and he is registered with the British Psychological Society (BPS). He is also a founder member of the European Federation of Psychologists’ Association (EFPA), having over 30 years’ experience as a licensed user of psychometric materials for assessment, coaching, selection and development. He completed his doctoral research (DBA) in multicultural leadership, examining Emirati/expatriate perceptions in the UAE’s private-sector workplace with Walden University, MN. He has a total of nine other degrees at Master, Bachelors or post-graduate level, from universities in the UK, Europe, and the Far East. This is in addition to his work with national and international government bodies, including the United Nations (UN). This corporate exposure complements his commercial and academic experience at colleges and universities worldwide, including periods as Director (of UAE HCT, Al Ain), Dean, and Visiting Lecturer. An experienced business and executive coach, he is active in the areas of Coaching & Mentoring and Leadership Development within the multicultural workforce in the region. He is a published author and journalist (he is a Member of the UK’s Chartered Institute of Journalists - CIoJ), and he is a regular speaker on the international circuit on issues of strategy, assessment & development of senior managers, leadership, identification & development of high-potential staff, and the design and delivery of leadership programmes. Abdulmuttalib (Talib) Hashim is a UAE national entrepreneur, Emiratization expert, employment specialist and founder of TBH Consultancy, a People and Business Advisory consultancy with a mission to help “People and Businesses Grow Successful in the UAE”. TBH is also the first Advisory firm with a full-fledged focus on Emiratization and Workforce Localization in the GCC. Talib is also the co-founder of newly launched youth empowerment initiative ‘The UAEtopia Talent Mine’ (www.uae-topia.com) which aims to help grow ‘High Impact Talent’ locally by bridging the gap between the private and public sector. Talib was previously the Managing Director and co-founder of Dubai based Recruitment consultancy Next Level which specialises in the recruitment of nationals. Through his work, Talib has helped several organisations in the UAE on their Emiratisation, Recruitment and Human Resources needs. He has been instrumental in advising senior managers on issues related to adopting the most effective ways to attract nationals, building a strong employer brand, engaging their local audiences and cultural integration in the workplace. Talib was also previously an Associate Partner with HR, Nationalisation and Research experts Oxford Strategic Consulting where he worked along with a research team based in Oxford to identify critical issues in GCC Human Capital and recommend programs and strategies to tackle these issues. Talib’s pursuit has been to identify critical issues that face a minority local workforce and establish progressive and relevant frameworks and solutions to address these issues, hoping that his work on Emiratisation could serve as blueprint for other regions which face similar challenges. Abdulmuttalib is also a Coach and Mentor for Entrepreneurs; he has mentored UAE nationals in local programs such as ‘The Emirati Launchpad’ by Impact Hub, The EAAGY Awards for Gulf Social Entrepreneurs, and Emirates Foundation’s ‘KAFA’AT’ Program for Emirati Entrepreneurs. Talib continues to play an active role in society as he is a regular speaker in conferences, workshops and universities delivering a series of motivational speeches titled “10 Lessons I learned in 2009”. In addition to that Talib delivers public and in-house workshops in various topics. He was also a member of the advisory board for AIESEC, the International youth leadership organisation. He is a regular blogger as well as a columnist and has written articles for publications such as SME Advisor magazine, MBC Times and Gulf News. You can learn more about his thoughts and insights through his website: www.talibbinhashim.com and he is currently working on his first book. We would like to take this opportunity to extend our sincere thanks to you for accepting our speaking invitation and to join the event, we are sure that the audience will be pleased to benefit from your great experiences and the best practices and knowledge about the latest technological trends and over all strategies on smart cities and smart government and to know your views and vision on the journey towards successful implementation of the transformational strategies. We are affirmed that your invaluable outlook will go a long way in imparting fresh ideas and analyses to the event audience composed of regional and global audience. The material/ppt slide has to be designed and formatted appropriately for the audience. Need to make sure that the language he/she uses is comprehensive, professional, and with a steady voice throw ability. Hope to see you soon and please do not hesitate to call us for any support. All contents, such as text, graphics, logos, button icons, images, audio clips, and software are under the copyrights of Datamatix and are protected by international copyright laws. Also, the methodology, terminology, models, explanations and case studies presented are the proprietary with copyrights and all rights reserved for Datamatix. Reproduction / Copying / Using of the contents by any means without written consent is strictly prohibited for any party under any circumstances and Datamatix reserves the right to take any legal action according to the rules and regulations. © Copyright Datamatix Group 1989-2019. All rights reserved.